Where have the Online Neighborhoods Gone? After linking to the “One Terabyte of Kilobyte Age Photo Op” Tumblr in my last post, I started reading around a bit on the Geocities research blog. This post by Olia Lialina (pioneer web artist and theorist) about Neocities got me thinking a lot about how we are framing Domain of One’s Own here at UMW. Neocities is a project by Kyle Drake to “help me keep the creative, independent internet alive!” and it’s built in the spirit of Geocities. Lialina has some deeply insightful observations that she jotted down as soon as the service went public this Summer that I’m finding helpful to think more broadly about building community around DoOO. We have the basic hosting worked out, we’re currently exploring more sophisticated syndication, but we still need to figure out how to imagine community more broadly. In this regard I think the same is true for Reclaim Hosting—in order for both to be more than just hosting they have to be able to expose what’s happening around the community. As she was testing out Neocities soon after its launch, Lialina notes that…. There are still people out there who can write HTML, want to have their homepages made by hand and want to express themselves through HTML code. What seems lost is the idea (or skill) to make links to each other, manually, to build anything outside of your own “profile”. Neocities users do not link to other users’ pages, except user youpi and myself. This idea of isolation in managing one’s own site is a theme that recurs through the first impressions. What’s more, I think it’s also apparent for anyone who has been blogging for a while. The slow death of the blogosphere is just that, the cultural amnesia that links between sites and people is what makes the web. Like with syndication, we want this to happen as a part of a siloed service like Facebook or LinkedIn—the idea of a personal profile seems almost divorced from the social self online—and that is something we need to challenge with DoOO. 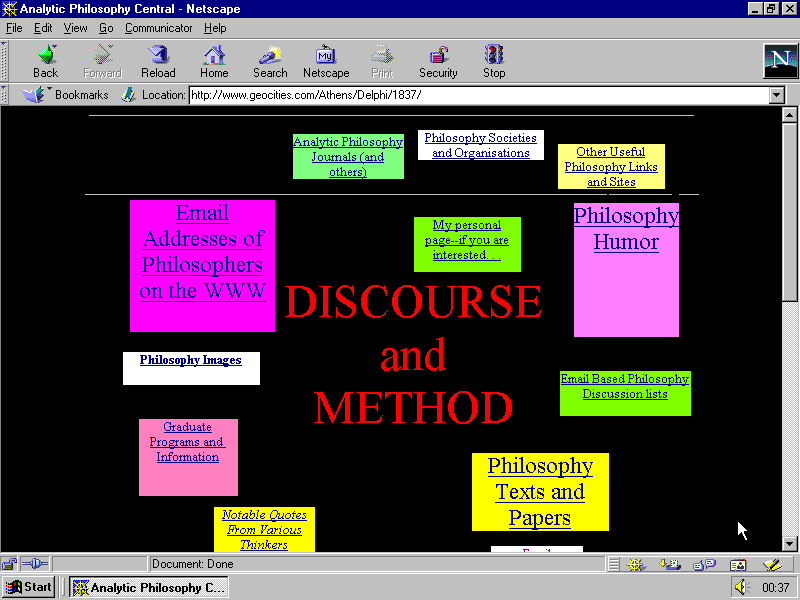 There is also a discussion about the changing rhetoric around Geocities over time. In 1996 and 2004 Geocities was referred to as a priosonhouse of one’s content. Free web hosting services like Geocities “were seen as a prison for creativity and self expression.” There was a push to controlling your own webspace through commodity web hosting services like Bluehost and the like. But the rhetoric around Neocities, an updated verion of Geocities in many ways, is framed by Kyle Drake as a…. ….place for the users to be “in complete control of the content and presentation they provide to their audience”. It is of course an over-over-statement. However, compared to the industrialized nothingness Facebook offers, any “pimp my profile” service can be regarded as offering “complete control”. This is fascianting to me because the critiquing of Geocities in 1996 and 2004 was not so much about ownership as it was about ease of use. For the replacement was not cheap commodity web hosting for most folks, but rather “the industrialized nothingness Facebook offers.” So much so that something like a simple, third-party service for hosting HTML pages seems like the second coming of Freedom online. What an interesting shift in the rhetoric of the web over the last 15 years or so. There’s a dissertation in that alone. Very bad move: Calling it Neocities and not starting with neighborhoods. When Yahoo bought Geocities, they only offered vanity profiles and discontinued neighborhoods and suburbs. Users became isolated, it was the beginning of the end. How do we build neighborhoods in DoOO and Reclaim Hosting? Is it around topics? -interests? -academic disicplines? -academic departments? -courses? -people? I imagine some combination of all these will be the case? And the more I think about it the more the idea of rolling out DoOO by a class of students, i.e. freshamn, didn’t make all that much sense for the project. The success of DoOO is going to depend as much on academic programs, courses, departments, and individuals—and like everything else we’ve done at UMW it will depend on an organic push. I’m just wondering what the idea of “neighborhoods” looks like for DoOO and how we might start experimenting along those lines. This entry was posted in Domain of One's Own, reclaimopen and tagged domain of one's own, Geocities, Neocities, Olia Lialina, reclaim hosting, reclaimhosting, reclaimopen. Bookmark the permalink. 10 Responses to Where have the Online Neighborhoods Gone? My Geocities experience back in days of yore was that we never really organized around their artificial neighborhoods. We were more likely to organize into people interested in creating web space. 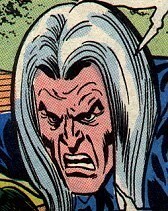 The people I spoke with were fellow webmasters, trading tips and helping edit code (“did you hear about the blink tag??? It will change the Internet forever!!). I don’t remember what any of their pages were, but I remember the community of those doing HTML. The other thought is that I wonder how much community there is on web pages at all anymore? Most message boards for topics are disappearing, and are being replaced by Twitter and Facebook. Most communities seem to center around Q&A. (Of course YouTube comments are still alive, but that may be another reason that a web page based community isn’t necessarily the goal). The broad point I’m trying to make is that I don’t know if the topics of the pages should be the center of community but instead it could center around the creation of the pages themselves. Yeah, you make some really solid points, and i wonder if the goal might be sharing how people are using DoOO, and let the integral search and discover possibilities of the web (or is it Google?). Tht said, I wonder if with a targeted community like Reclaim Hsoting or DoOO we might not be able to build a sense of community around particular disciplinary interests. That said, my experience has always been once you start trying to engineer community it falls down pretty quick. I’ve been thinking a lot about this with my own course lately, so I wanted to share a couple more thoughts. – I wonder if you built the course around an ATC requirement if it would have the same sort of effect you’re looking for. I know that internships in particular are a source of mystery and misinformation for students, and I’m sure a number of my students would be interested in any info they could get with their peers/share with their peers. It would have the dual effect of creating a community and sharing information (and maybe some more connections between the seniors and the younger students). – More broadly though, I wonder if the creating/reclaiming would create an offline community organically? I know my research and writing course has students doing things they’re not used to and aren’t comfortable with, and they end up going to the computer labs together to crunch data and build Excel spreadsheets. Their papers don’t really interact at all, but it does build a sense of community in the classroom. This may not be what you’re looking for, but maybe there’s an intersection in between the online and offline community that wouldn’t be immediately apparent. The second point really resonates with me right now because I am teaching a Freshman Seminar this semester that has an unbelievably cool dynamic that is very much premised in the physical space. The room has become a kind of springboard for the course community (I explain it better here). So, your point to the fact that different things drive students to create community onlien and off, and for me the face-to-face classes are somewhat easier to measure with immediate feedback. What I am wondering is how shared space online for learning, which is radically different in a lot of ways than face-to-face, might help faculty and students facilitate that sense of community. There are a ton of factors that go into it, but the funnest thing about Online Learning Initiative (OLI_, Domain of One’s Own (DoOO), UMW Blogs, etc. is figuring out if these spaces really do foster a sense of community for online, face-to-face, and/or hybrid classes. I think they do, and I think more and more the idea of designing an infrastructure that fosters individual and community interactions seamlessly is something the LMS misses to some degree. For me, when a student in mara Scanlon is talking about the course blog as a rabitt hole a la Alice in Wonderland there is a sense of play, experimentation, and communciation that makes me feel this space has its own anility to foster that sense of community that is far easier to feel in a physical classroom. I think it was the original vision of OLi to explore just that possibility, how do we imagine online education at UMW engage a sense of community that for so many faculty at UMW has defined what’s so special about the face-to-face experience. Something I am deeply attached to, but have had enough amazing experiences with ds106 at this point to know that online can be just as mgical, but in very different ways. Great article here on “dark social” which may help you think through this: http://www.theatlantic.com/technology/archive/2012/10/dark-social-we-have-the-whole-history-of-the-web-wrong/263523/. Adding, I’ve gone Pinboard crazy. I think we never got to the true potential of “bookmarking”. Weirdly, people thought “Really, something where I share bookmarks? Sounds boring.” And yet 90% of facebook and twitter has ended up being the sharing of bookmarks. So as we think about these things, I’d love to see us think about whether services like pinboard could form powerful connectors. (Adding, I agree with one commenter that what the Atlantic author is calling dark social is really “The internet minus the web”. But for me that’s the point — the internet is still much bigger than the web, and ad we shouldn’t ever forget that. I think the author also doesn’t properly account for https > http on referrer links, but I’m not interested in the graphs so much as the broader point). If you can crack this one, you will really have something. I remember the ghost towns of Cybertown, ActiveWorlds and other virtual cities, where the possibility of community was effectively erased through the simulation of owner-built, low density housing and the absence of human interaction (not unlike individual home pages with few connections between them). Bruce Sterling once suggested that “Cyberspace is the “place” where a telephone conversation appears to occur” (in the introduction to The Hacker Crackdown). Communities can be place-based, but they can’t be built, unlike public squares, houses, and websites. However, a sense of community can sometimes emerge organically through a shared process of creating something (which can including buildings, artefacts, rules and regulations). Defining “community” is hard, but there is research on what contributes to a “sense of community”. The challenge seems to be, in part, about how to enable and support ongoing open, inclusive, civil conversations using multiple media and channels. Conversations create space; shared conversations create shared space; open conversations create public space. The creation and maintenance of truly public space on the ‘net is a challenge well worth addressing. This is brilliant, and rght on track. I often revert to the idea that UMW Blgos, Domain of one’s own, etc are somehow responsible for the cultural shift at UMW that has built this community, but at the same time I knwo that’s not true. A whole bunch of people at UMW, on the ground, who share an ethos of good teaching, the importance of learning in the open, and the value of experimentation have done that. The tools have enabled us to broadcast that spirit, and therein is the magic, it reverberates back to us, and reinforces even more what we have. As a result it has gotten stronger, so the tools have a role, but they do not create the community, we do that—they connect and share the possibilities. The tools are essential, as are the sapces, but not in the ways I always seem to argue they are. Talking about community is always tricky for just these reaons, and you spell it out beautifully, thank you! While following the #ReclaimOpen Learning Symposium, I kept thinking about the connection between community and learning – both are process-based, messy, time-consuming, hard to pin down and difficult to measure. But you can feel when it’s happening. Both are social activities that enable transformational experiences. You (and Alan, Martha, Tim and the rest of the ds106 crew) are certainly broadcasting the spirit, and the magic. As you say, it reverberates back, which is great. It also radiates out in ways that you can’t be aware of. Messy, but magical!